Have you ever came across something that you wanted to shout to the world about, something so good that you just couldn’t keep quiet about it? Best Of The North State and Redding Reviews have found a secret brewing company that needs to be revealed to north state residence and to the world as far as that matters. 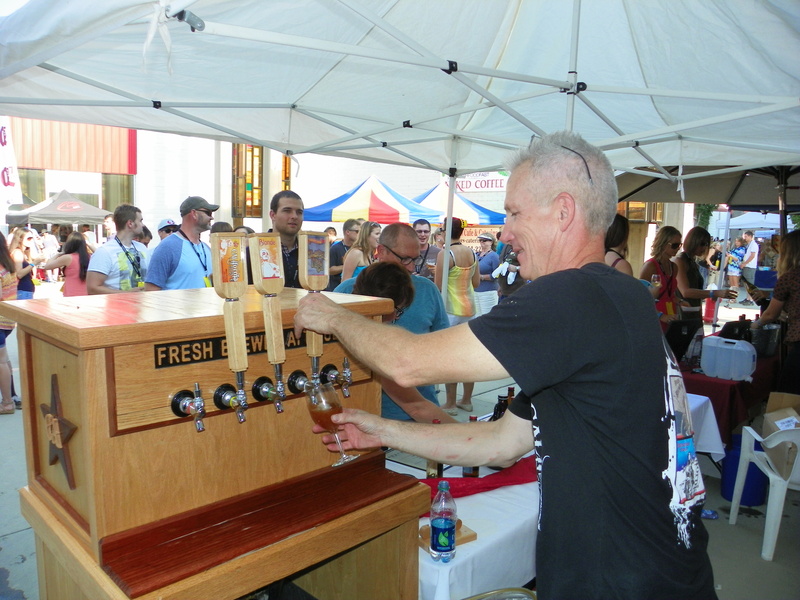 When we were covering the Viva Downtown 2014 Beer and Wine Festival we came across the a handcraft brewing company that will make you setup and take notice. California Brewing Company located at 9348 Deschutes Road Palo Cedro, CA 96073 were serving chilled handcrafted beers with a smile. 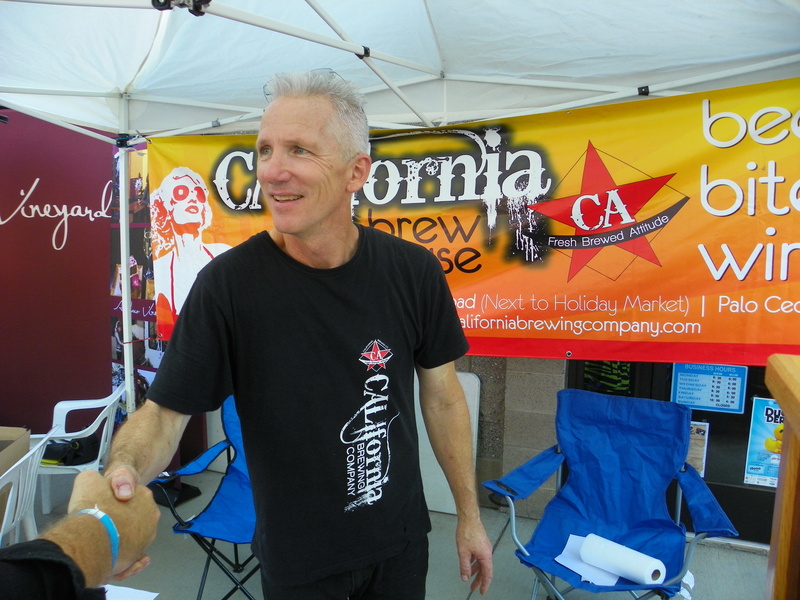 California Brewing Company offers six types of beers, Blond, Pale. IPA, Wheat, Brown and a Stout. This NorCal micro brewery is a serious contender for one of the best beer breweries in northern California. These amazing beers are all handcrafted right on the premises here in Palo Cedro. Their label motto is “Fresh Brewed Attitude” when tasting these amazing beers you will see why the motto is so fitting. Best Of The North State & Redding Reviews are so jazzed about this little brew gem that we will be doing a more detailed editorial write up on California Brewing Company in the near future. 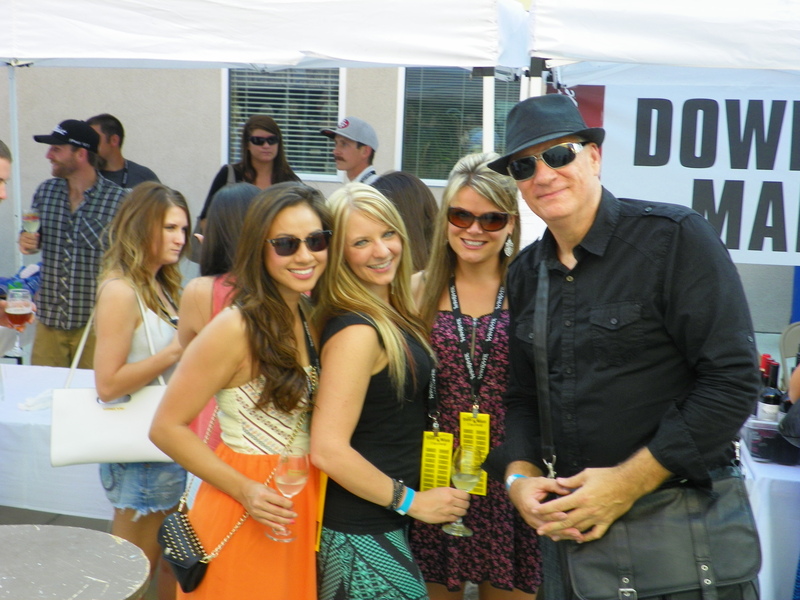 Redding Reviews Gives Viva Downtown 2014 Beer & Wine Festival Five Stars! Can you say WOW!…what a great time that Joe the events coordinator of viva downtown and sponsors put on to make this event one for the books for sure. As the evening unfolded in this social gathering of this size it was evident that there was a spirit of unity bringing together the people of the north state. 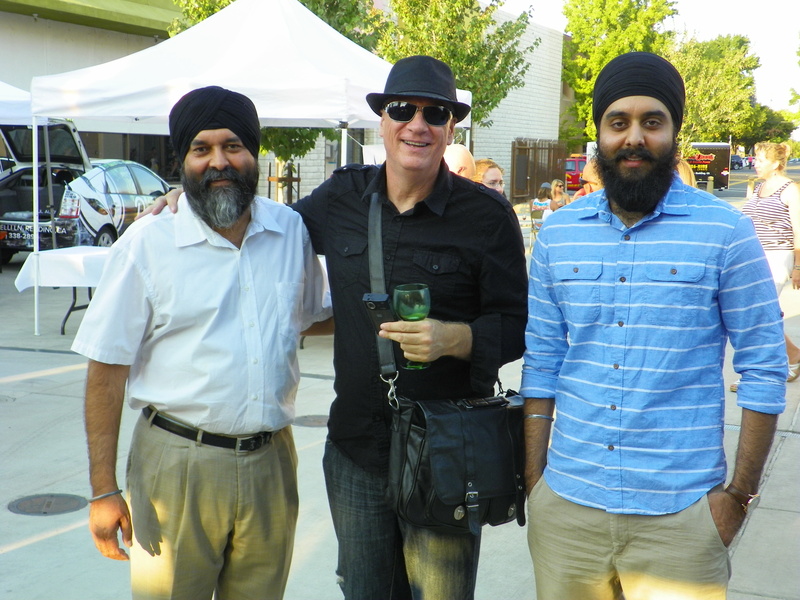 My photo journalist and I truly enjoyed the people as much as the food, beer and wine when the two came together it made a memorable experience. 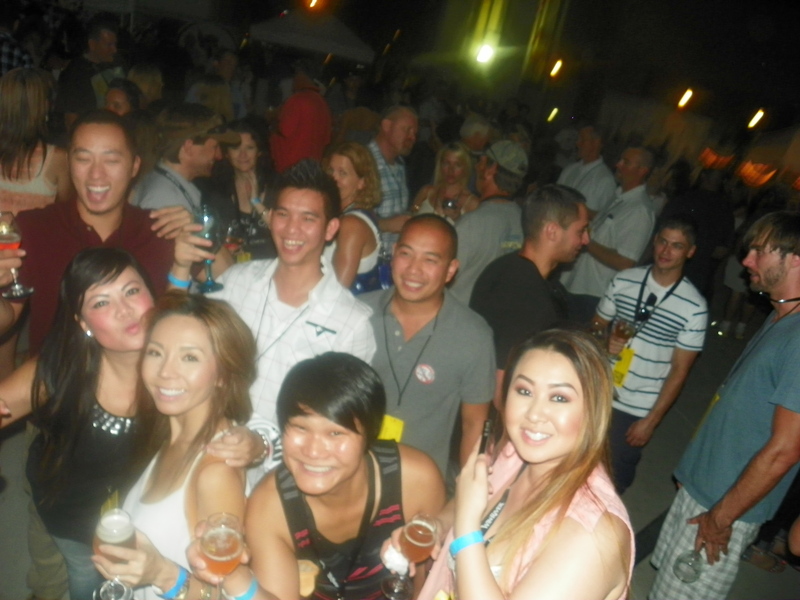 It was a wonderful event filled with great conversation, laughter and the cultivating of new friendships throughout the event while partaking of some of the finest food, wine and some of the best micro brews that I have personally have the privileged of trying. Many of these vendors have poured their heart and soul into their craft. The food vendors that were present created culinary flavors and textures that brought me to a place of knowing I was eating comfort food made with love. It was very inspiring to joke, laugh and be enlightened by many of these vendors that honed their crafts in the beverage and food arts. They were very professional, smiled with and a sense of pride of knowing they were personally giving their best to the people of the north state. In all my travels in reviewing many events similar to the Redding Beer & Wine Festival I know this to be true. We the people of the north state know how to bring together the finest food, wines and micro beers in a social atmosphere which was by far was regal filled with panache. All in all I look forward to returning to this event again next year. 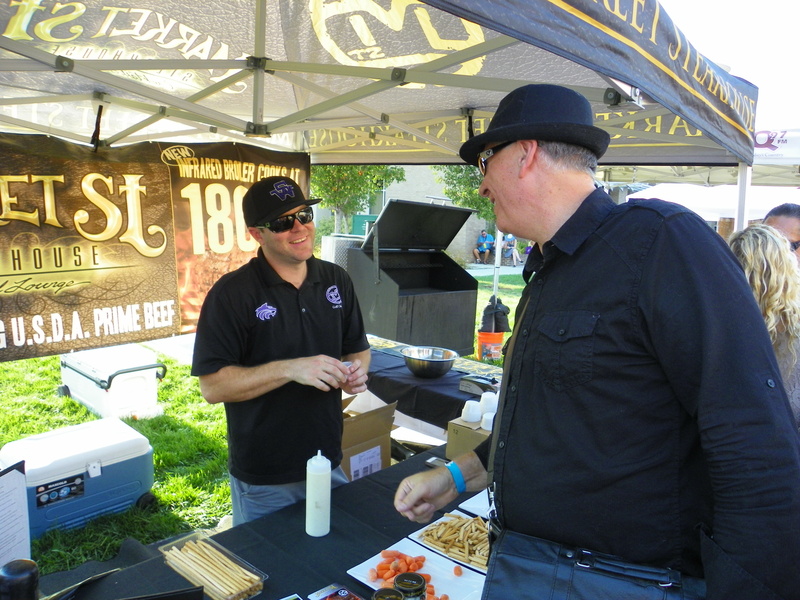 Kudos goes out to Joe and his team and all the sponsors that participated in making the 2014 Redding Beer And Wine Festival a smashing hit. 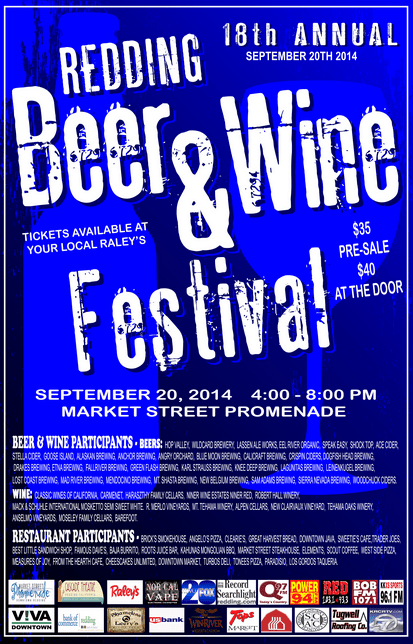 Viva Downtown Redding is doing it again, organizing and sponsoring the Beer and Wine festival in Redding California. This is one of the premier events held in the north state. Tickets can be purchased at Raley’s super market in Redding and Red Bluff must be 21 and older. 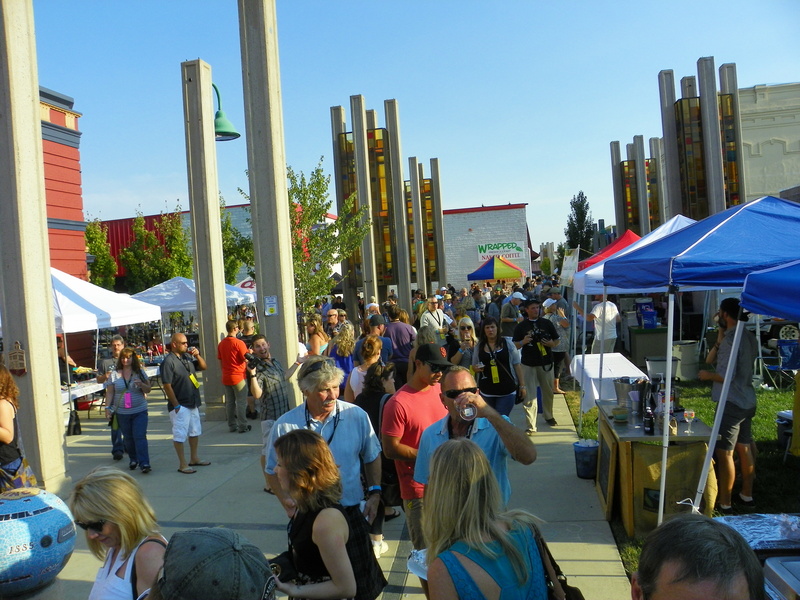 There will be a variety of micro breweries and wineries. Beers will include craft, domestic and imported beers from Fall River Brewing, Wild Card Brewing, Firestone Walker Brewing, Anderson Valley Brewing, Rogues Ales, Bear Republic, Brewing. Wines and Wineries will be represented bye, Mt Tehama, Anselmo, Carmenet, Haraszthy Family Cellars, Raley’s, Vintage Wine Bar, Anselmo Vineyards, Copa Di Vino Wines, Mosley Family Cellars, New Clairvaux Vineyard, Classic Wines of California, New Barefoot Refreshed, Westside Wines, Downtown Market, Cost Plus World Market, Tehama Oaks Winery, Merlo Family Vineyards, Mack & Schuhle, Robert Hall Winery and Niner Wine Estates. There will be great food samples from twenty different local restaurants dishing out anything from bbq’s, deli’s, variety of cheeses & bread’s, meats, pizza, java and much more. Below is a list of sponsors that invested in a variety of ways, money, time and marketing & advertising just to name a few things to make this all happen. Mega shout out to Promenade Marketing Street and all the sponsors below that made this possible. Kudos go to Snow Mountain for providing water, Soft Drinks from Coca-Cola-Scout Coffee & Roots Juice Bar, Radio Sponsors are Charter Cable, Q-97 FM, Power 94 FM, Red 103.1 and 93.3 FM, 96.1 XS Sports and 10701 Bob FM and the Record Searchlight for being the press sponsor. 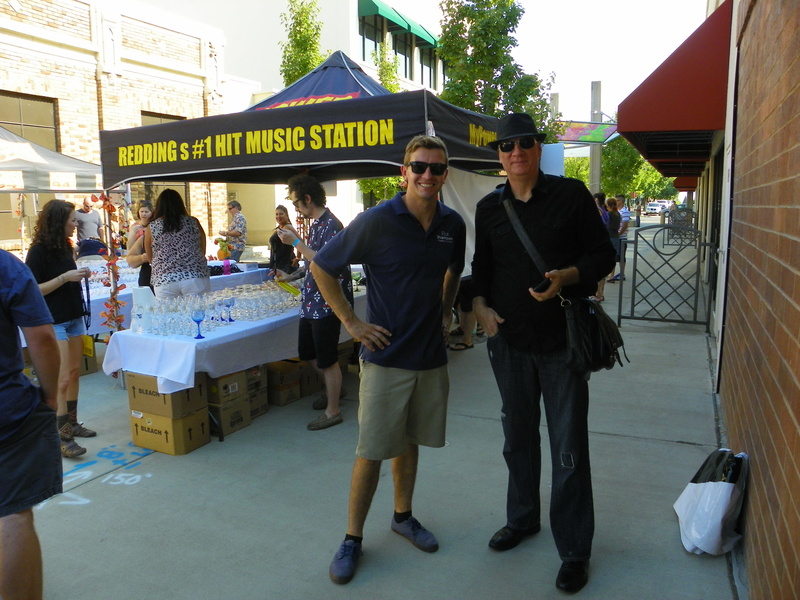 Redding Reviews.com and Best Of The North State.com would like to thank Joe of Viva Downtown, Shasta County Arts Council, Promenade Marketing Street and his awesome team, members for working with vendors and sponsors to make this awesome event happen once again here in the north state. I’m reserved to write this post because as the editor of several B2C editorial shoutout sites, I want to keep this place a secret (like not tilling others of your best secret fishing hole or everybody will go fishing there) :-)! Okay…so I found a place that I can get away from it all and just breath, relax and enjoy the home cooked meals, drink a few micro brews for only $2. On Tuesdays and Thursdays from 4:00 to closing. You read that correct, only $2 for micro brews!, can you find it any cheaper with the ambiance, quality and service?..I think not. 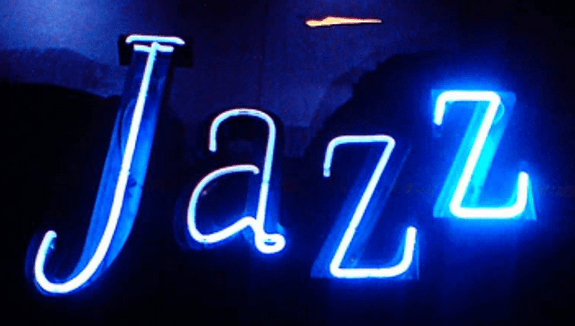 Was there on their first jazz night last Thursday Sept 4th. what an experience truly amazing. For some reason jazz nights at The Savory Spoon goes together like a PB&J. 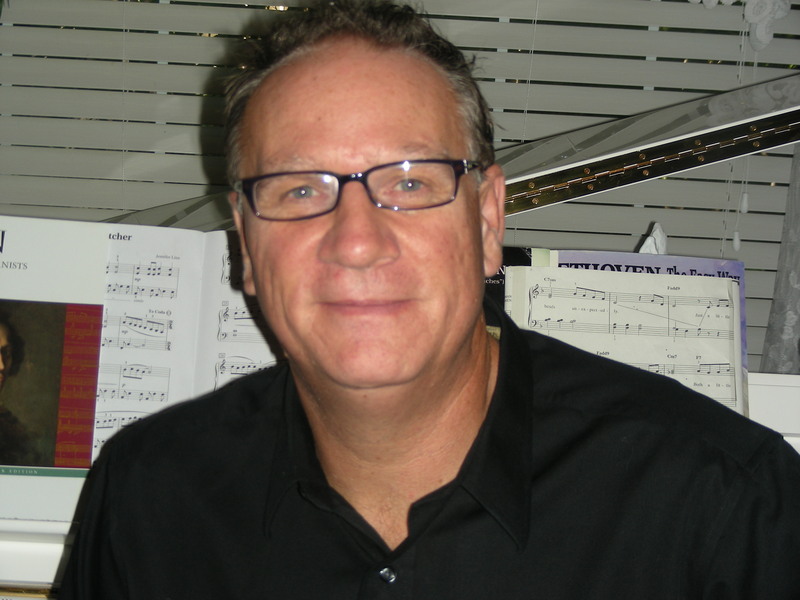 Somethings just click and having a jazz night at the savory spoon on their $2 pint night clicks big time! When walking into The Savory Spoon you will notice right away that the tabletops are covered with butcher paper. Since I’m a doodler and love to write out my thoughts in a rough draft at the ending of the day the savory spoons’s butcher paper works great to accomplish this. Plus if you have kids or grand kids the container of crayons that set in the center of your table make the perfect combo to doodle a pirates lost treasure map, tear it off and take it home and have fun with it by going on a lost treasure hunt around the house or neighborhood with your kid or grand child. Most people i know love cupcakes, The Savory Spoon is offering Mini Creamsicle Cupcakes this week!